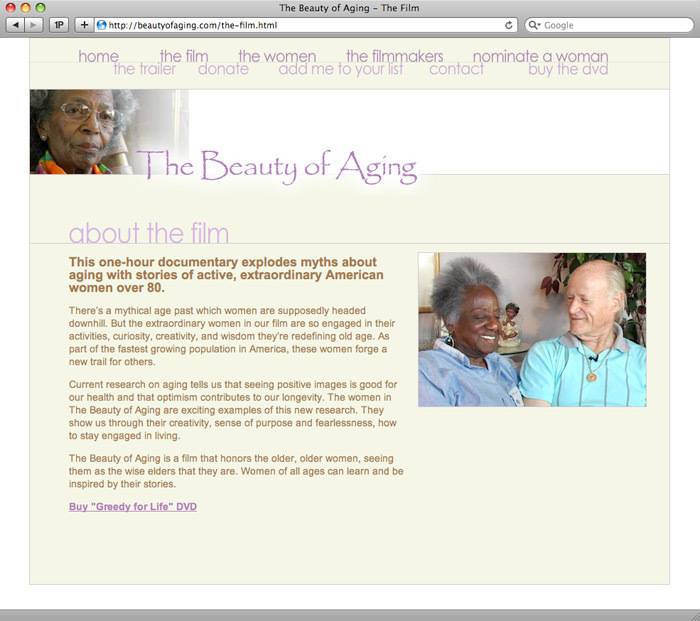 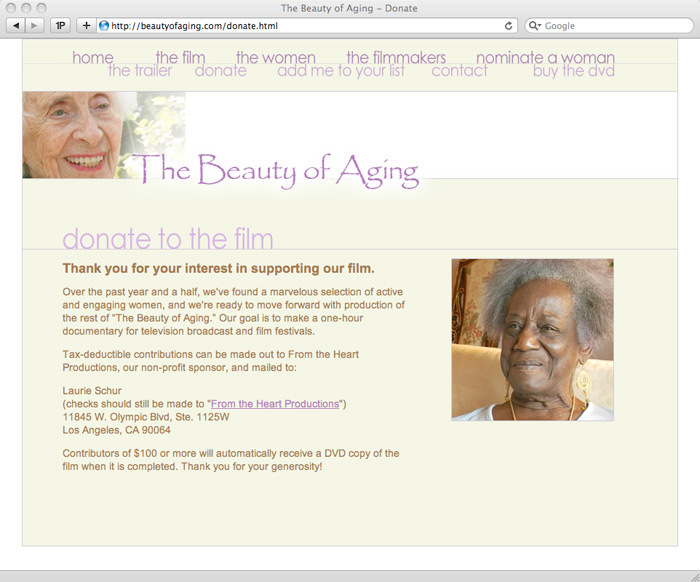 The Beauty of Aging is a film that honors the older, older women, seeing them as the wise elders that they are. 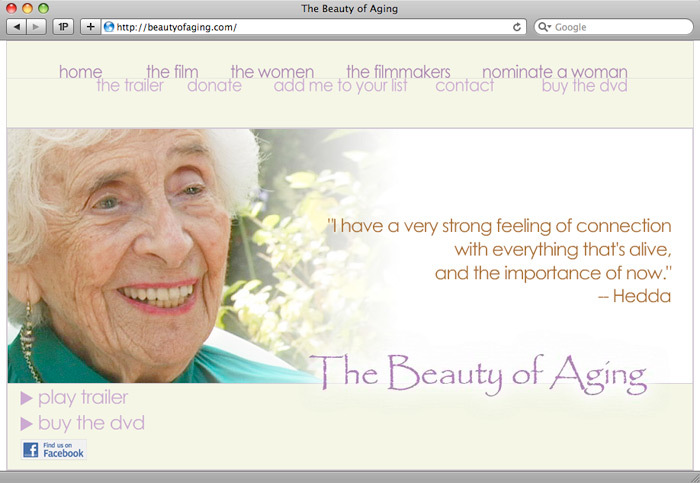 Women of all ages can learn and be inspired by their stories. 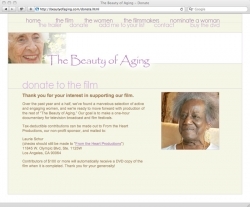 WackyPuppy designed and implemented an e-commerce website, integrating PayPal Standard and a simple content management system to keep costs low and provide the client the ability to edit text on their own site.